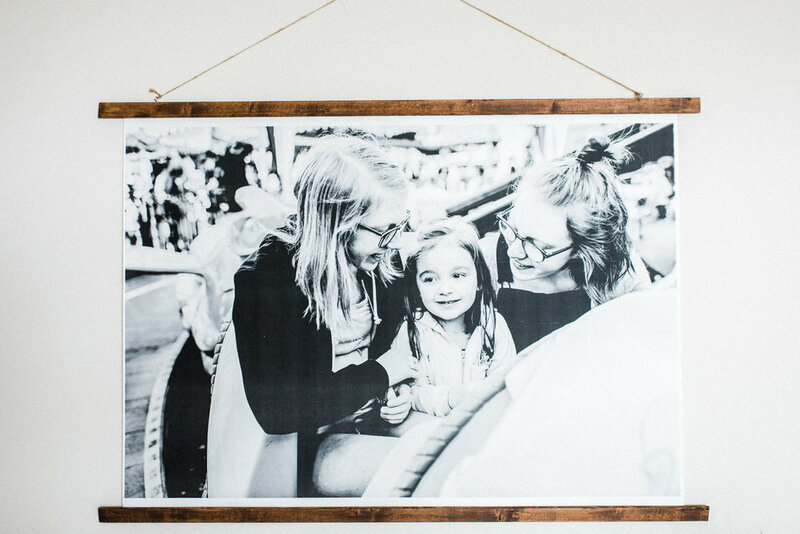 This post is about my favorite piece of art in our home and it was less than $20! It's been hanging in our basement for quite some time and the space was so dark and nearly impossible to photograph. I recently moved it up to our master bedroom where the light is so much better and easier to photograph, which means I can finally share here. If you have a large wall to fill, this is an easy and inexpensive idea. Follow these easy steps to make one for your home! Save your image to a thumb drive and bring it in to your local Staples store. If you don't have a Staples, call your local office supply store to see if they offer engineer prints. The Staples print shop offers several different sizes of engineering prints - the largest is 3' x 4' and cost around $8. The actual printing of the image only takes a few minutes. You may be able to send in the image online as well, but I haven't tried that. The paper used for the engineering print is very thin. 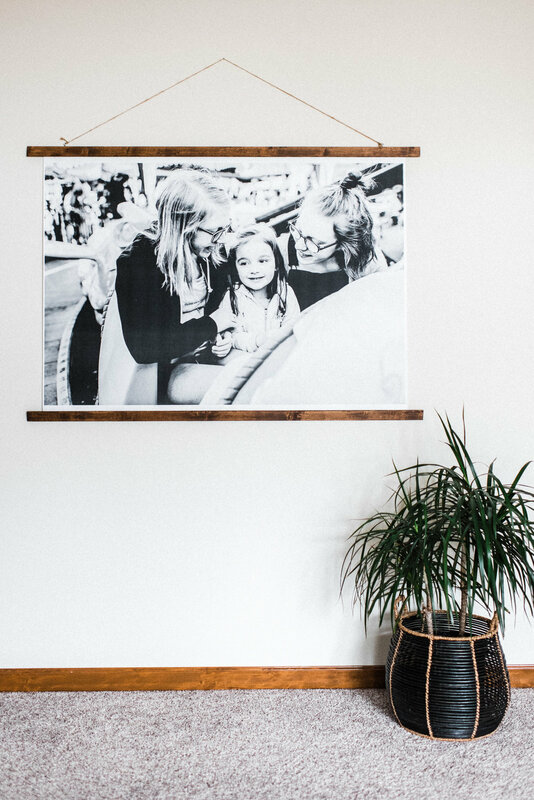 Adding a piece of wood to the top and bottom of the print will help it hang nice and straight. 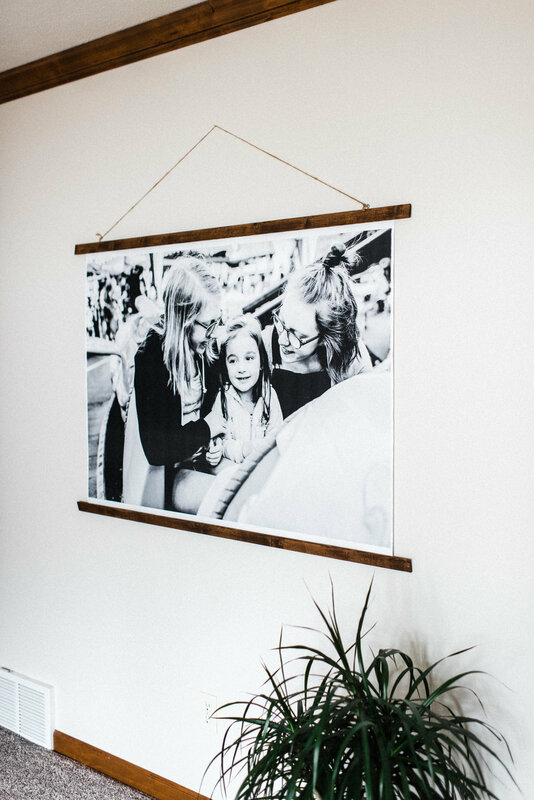 I used 2 pieces of very light wood (stain them or leave them natural) and then attach your image to the back sides of the wood with double side sticky tape. The wood pieces in this post are each 52" long and 1.5" wide. 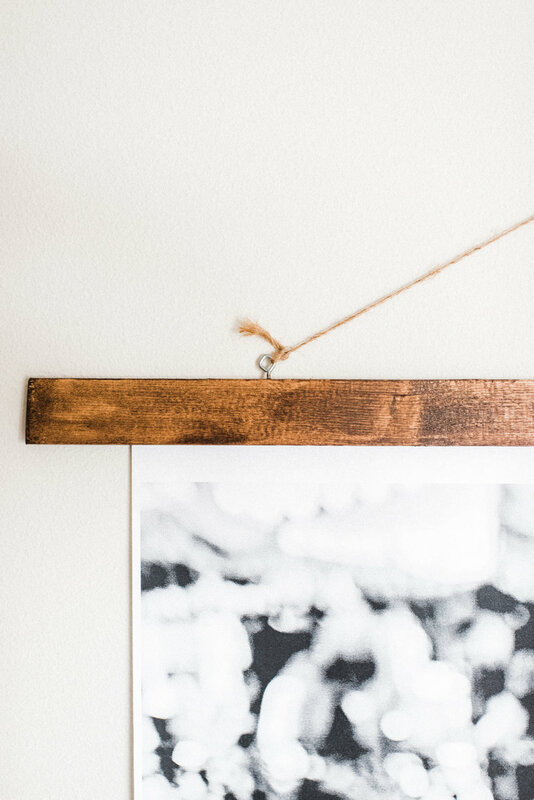 Add two eye hooks and a piece of twine and you are ready to hang! Back and white images print best. Color images work, but the printing cost will be much more. I've only printed images taken with my professional camera. And when you blow them up this large they are a little grainy. I am ok with that. I have't tried using a cell phone photo, but if you are ok with a little grain then I think it would be fine. Leave a comment if you have any questions. Please send me a photo if you decide to make your own print - I would love to share on my social media.